What Makes Baby Boomer and Millennial Women Different with Regard to Wealth Planning? Whether it’s planning for your own retirement or even setting aside time to think about your legacy plan with your estate, you need to ensure you have a lawyer to support you. Women in particular must be concerned about long-term needs because they often live longer and must factor in these additional years. Far too many women are unprepared for retirement and especially for the risk of long-term care needs down the road. If their spouse passes away, the challenges can amplify. A study recently completed by RBC Wealth Management indicated that there has been a major change in the attitude about wealth shared between millennials and the baby boomer generation. Approximately half of boomer women who participated in the study said that they took the lead on financial planning, whereas up to 72% of millennial women were responsible for this area of their households. This trend was consistent across charitable giving, will planning and day to day banking. The wealthier the household, the higher the chances were that a woman was leading the financial planning and was actively involved in the legacy and estate planning. For those households that had greater than $5 million in investable assets, women were the primary decision maker. Key differences also recorded in the study between the two generations were shifts away from thinking about money as a method of providing security, and instead towards the opportunity to do more for the world. 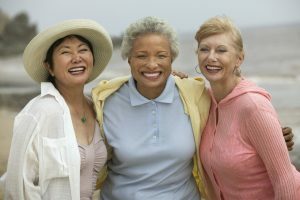 Approximately 41% of boomer women said they intended to pass on their wealth to their children, whereas only 15% of millennial women responded the same. A total of 65% of women classified as millennials felt that it was their responsibility to use their wealth to benefit society at large compared with only 52% of women in the boomer category. Women who are wealthy as millennials are much more likely to have developed their wealth on their own when compared with boomer women. If you have recently found yourself in the position of needing the services provided by an experienced estate planning attorney, now is the time to schedule a consultation to talk about leaving behind a legacy, asset protection and other important issues connected to estate planning.